An important part of the support the Kitase Action Boys Football Club is providing for the youth of Kitase is aimed at improving the educational level of the players and their brothers and sisters. Among other activities the evening home work classes is part of this effort. From Monday till Thursday from 7 to 9 pm at least two volunteers and a local coach are helping the youngsters doing their homework. Players that are not in school anymore come to read, practice writing and exercise basic mathematics. 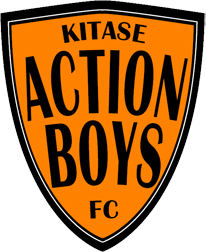 This is another example how Action Boys is able to play great football and at the same time work on improving the living conditions of the underprivileged people in Kitase.